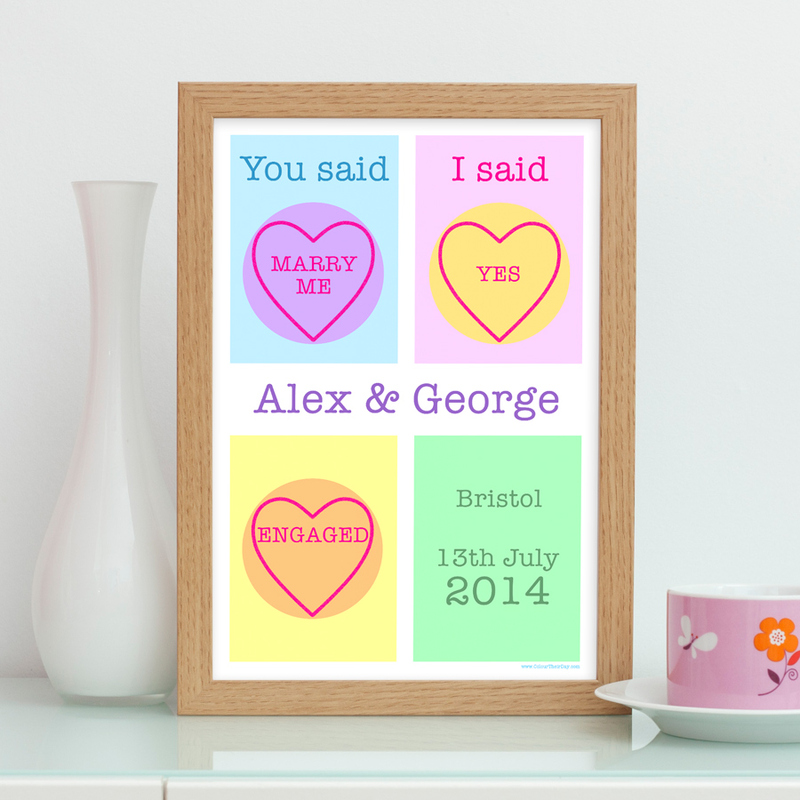 You have answered ‘Yes’ to those all important four little words, so celebrate with this delightful personalised engagement print. The multitude of sugar-coated colours help make this print the perfect engagement gift for your husband-to-be. Enter the two names you would like on this print. Name 1 will be printed below the blue rectangle and name 2 under the pink rectangle. Be the first to review “You Said I Said – Personalised A4 / A3 Engagement Print” Click here to cancel reply.